At the very beginning of September, Russia’s president Vladimir Putin paid a visit to New Delhi to hold talks with India’s prime minister Narendra Modi. The outcome of this meeting looks extremely remarkable both for the bilateral relations for Russia and India and for the political puzzle that is evolving in the region of the Indian and Pacific Oceans. First of all, one should poi note that along with a number of other landmark events of recent months, this trip demonstrates that Russia accelerates its movement past a fence with a sign that reads “the West”, while an ever increasing number of curse words can be heard from behind it. It’s is heading directly into the region to where the center of the post-Cold War world gravitates,which looks like a perfectly logical step. 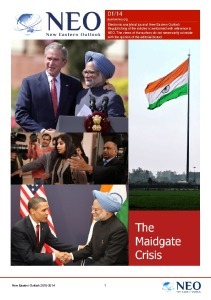 In turn, India is becoming one of the major players in this center, and its position on a wide range of topics will be directly determined by the nature of developments taking place at the geopolitical gaming table. This notion is being illustrated by the fact that within month the pendulum of Indian foreign policy has made two sharp deviations of the exact opposite orientation from its usual equilibrium. For instance, in a matter of years India and China came from announcing that the process of accumulation of negative sentiments in the bilateral relations of the two Asian giants was to be stopped and reversed, to finding themselves on the verge of a direct military conflict. Then, this pendulum swung would swung in the opposite direction one more time and New Delhi would hold talks in the 2+2 format with Washington’s representatives. 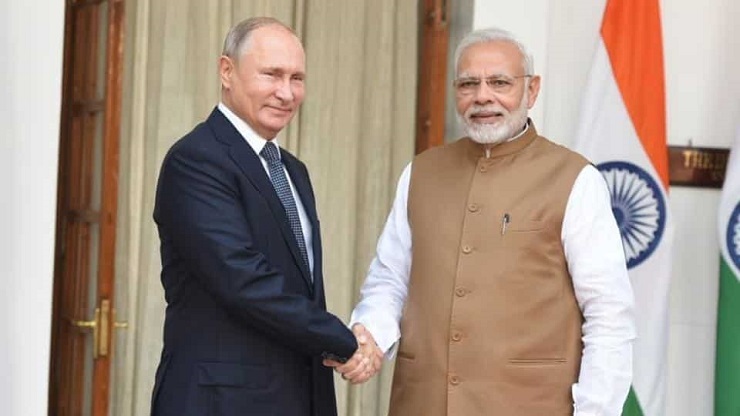 In this regard, the main outcome of the visit of the Russian president to India, apparently, will be an attempt to downplay the consequences of the excessive swings of the Indian foreign policy. This step is an important contribution to the much-needed process of maintenance of strategic stability in the regional game, that is being played by the United States, China, Russia, India, and Japan. Only when stability of this whole system is achieved can other regional players find themselves a convenient niche to occupy, among which one can names such countries as Australia, Korea (quite possibly, united in the future), Pakistan, and Iran. As for Moscow, it needs the same stable regional environment to successfully execute its Eastern pivot. Apparently, both Russia and India had in mind the important goal of ensuring strategic stability in the region, while they were preparing a joint statement, titled India-Russia: an Enduring Partnership in a Changing World, in which pretty much all the aspects of bilateral relations were touched upon. Its content should not alert Beijing, Tokyo, or even Washington in any way, as the stated commitment to the special and privileged strategic partnership between India and Russia is not aimed at pushing any of the above mentioned capitals from the regional stage. 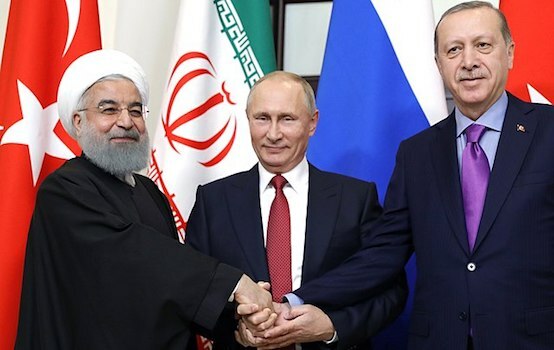 It’s curious that in the content of the joint statement one can find a mention of the commitment of the two states to the implementation of the International North–South Transport Corridor (INSTC), with a special mention of Iran that should join Russia and India at a tripartite meeting on INSTC, which should be held in Moscow by the end of the year. But the development of large scale trade and economic ties with Iran and even Russia is going to be challenging for New Delhi, as it is going to contradict Washington’s Countering America’s Adversaries Through Sanctions Act (CAATSA) adopted by the Congress last year. The Trump administration is determined to put an end to the flow of Iranian oil to international markets – the country’s main export product, while India remains the third largest importer of Iranian oil. For sue, New Delhi reduced the volume of purchases, but it refused to cut them off completely. Apparently, all of the tricky aspects of this issue were discussed by Washington and New Delhi in advance, so that a compromise solution would allow both parties to save face. By pledging its commitment to INSTC in the joint statement and the continuation of oil imports from Iran, India demonstrates that is capable of making important decisions on its own. It reminds mindful of the interests of one of its main geopolitical partners with its intention to go after Iran, so Washington would have an argument for not putting CAATSA into action against it. Pretty much the same can be said of the re-confirmed Indian intentions of purchasing 5 billion dollars worth of Russia’s air defense systems S-400. Washington agrees to turn a blind eye to this deal, provided that other (no less large-scale) projects in the field of Russian-Indian military cooperation will remain in the state of infinite discussion. The six-day visit to Russia by the commander of Indian ground forces, General Bipin Rawat and his talks with high-profile figures of the Russian Defense Ministry fit this notion perfectly. The official stated purpose of the visit was associated with the need for technical modernization of Indian ground forces. Speaking about the alleged “shift to the West” of his country, General Bipin Rawat, in particular, announced that Russia had no reason to worry about the consequences of the recent development in the relations between the United States and India, as New Delhi remains committed to pursuing independent policies. Apparently, this is exactly the way it is, as India’s strategic line of maintaining a balance in relations with both Russia and the United States remains well preserved. But there’s yet another question that is equally important, and that is the prospects of bilateral relations between India and China, since those relations would largely be determining the situation in Asia. In addition, this question is getting increasingly important for Russia because transparent and positive relations with Beijing are becoming increasingly important for it. These days, it would be extremely curious to learn what Bipin Rawat could say on this topic as earlier, during the period of acute aggravation of Chinese-Indian relations, he made a number of rather harsh remarks about the PRC. Be that as it may, but Beijing should have no suspicion that Moscow could have any intentions of supporting such statements. It’s perfectly clear that any possible attempts made by the United States to draw Russia into some anti-Chinese activities are doomed to fail. This cannot be achieved either by letting some of Eastern European satellites of Washington loose or “indirectly” through manipulating significant partners of the Russian Federation. Moscow should be focused on overcoming the challenges that can be found within China-Russia-India-Japan configuration for the benefit of Asia as a whole.